Zinsser Cover Stain Stops stains from graffiti, Smoke, Grease and crayon, seals water, smoke & nicotine stains, seals porous surfaces such as plaster board, masonry and wood, will hide rust and mildew. Zinsser Cover Stain is a stain block paint that blocks cedar and redwood bleed on new and previously painted surfaces. Zinsser Cover Stain works to stop stains from graffiti, smoke, grease and crayon while sealing water, smoke and nicotine stains. 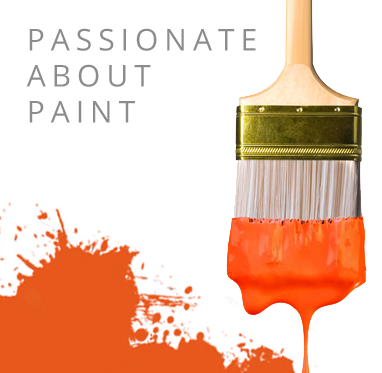 Zinsser Cover Stain is a modified alkyd resin, solvent based stain blocking paint which is part of our Stain Block Paint for walls and ceilings. Zinsser Cover Stain is ideal for use on most interior and exterior surfaces and works excellently at sealing water soluble tannin bleed on cedar and redwood. Zinsser Cover Stain will hide rust and mildew so is suitable for use in areas of high humidity. Zinsser Cover Stain should be applied using brush, roller or airless spray and is also available on special request in aerosol form to allow for easier application. Zinsser Cover Stain has a coverage rate of approximately 11m2 per litre per coat and tins or cover stain are available in 1 litre, 2.5 litre and 5 litre tins. Zinsser Cover Stain offers exceptionally fast drying quality and is ready for recoating within 2 hours depending on temperature conditions. Zinsser Cover Stain seals all porous surfaces including plasterboard, masonry and wood and can be used internally and externally to block out all kinds of different stains including, graffiti, smoke and grease. Apply by paint brush or roller.